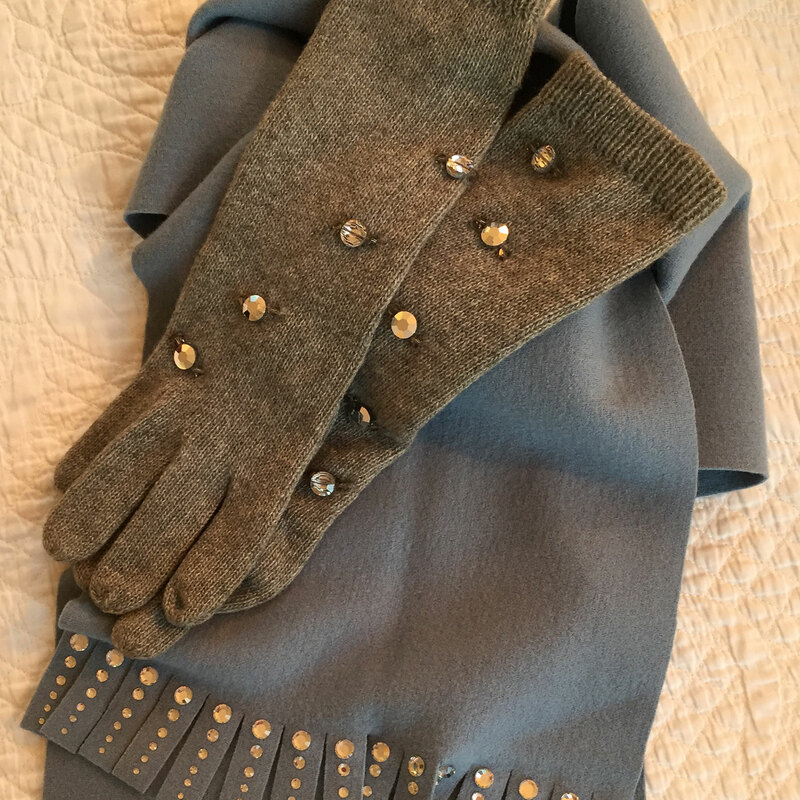 Geoffrey Beene grey cashmere scarf and gloves, embellished with crystal. Sometimes, a slight mismatch is more intriguing than a simple match. 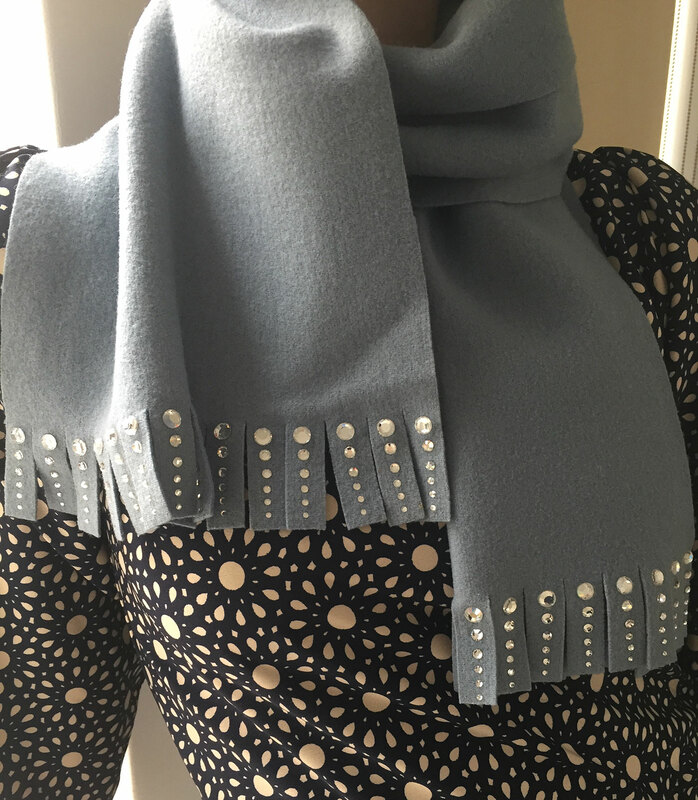 A closer look at the scarf’s fringe details.